The Two Gay Geeks received an email from our own Hamish Downie letting us know about a new film from debut filmmaker, Felicity Tillack. Below are the details on the film, Felicity, as well as the trailer itself. Kyoto-based Australian Director Felicity Tillack dropped the trailer this week for her debut feature film, “Impossible to Imagine”. Felicity’s documentary work has been featured multiple times in “News Sushi” (including in the debut issue). The story of a traditional, Kyoto woman who runs a failing, kimono business and the biracial entrepreneur who comes to help keep it solvent. Along the way they fall in love but his need for change clashes with her desire for the world to stay the same. In the end, can they change enough for the other? Impossible to Imagine is a romantic film, shot within the beautiful city of Kyoto. While providing social commentary on Japan, it also explores universal themes of identity, love and acceptance. business, her family, and the past. The film asks, what does it mean to be Japanese? Will, in the face of rapid ageing, and depopulation, Japan accept those who don’t fit the traditional definition of what it means to be Japanese? which investigate multiculturalism in Japan, and run interviews that describe life behind the scenes in the traditional worlds of Buddhist temples and sumo stables. dance and shamisen. She is a versatile actress, and brings great depth to the role of Ami Shimizu. This is the first film acting role for William Yagi Lewis. Born and raised in rural Shiga prefecture, Japan, he attended college in United States. Hayato Arai’s character was in part inspired by William’s background and he brings freshness and passion to the role. William is a skilled photographer and musician. The sound track of Impossible to Imagine features tracks from a talented group of artists. The theme song by Jeremy Lim, mixes the Japanese sense of “wa” with Jeremy’s trademark soulful, electronica. Composer Hanako Ward builds the emotional ambience of the film using a mixture of piano, violin, shimisen and koto. Australian indie rock artists, Diet., Dolphin Dog, and Made In Japan punctuate the fun, fast moments, as their lyrics underline moods and messages within the film. 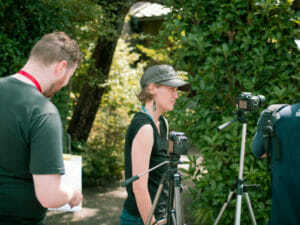 Hamish Downie is a Japan-based Australian Filmmaker and Producer. 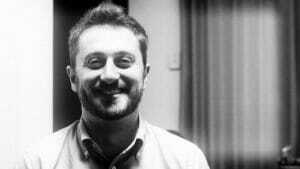 Notable work includes multi-award winning short, “An American Piano” and the music video for Robyn Loau’s single “Never Let You Down”. He’s currently in post-production on his debut feature film, “Kodokushi”. 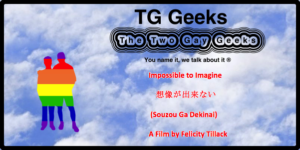 More About the making of Impossible to Imagine can be found at this link on Where Next Japan, the website of Felicity Tillack.